All through our childhoods, my brothers and I were only allowed candy on Saturdays – lørdags godt, “Saturday treat.” Each Saturday we were given our allowance, to drop into the cleaned out yogurt containers that functioned as piggybanks, plus a quarter (adjusted up over the years to a dollar, a parent does have to recognize inflation), to clasp hot and sticky in our hands as we ran to the store to spend it on any candy of our choosing. We had a complete free market phenomenon going on with our Saturday treat allotment, and (without remotely having the terminology to talk about it) we became very shrewd at calculating the relative utility of each variety of candy as compared to its cost, in order to determine how we could best balance the quantity versus quality of our purchases. My brothers erred on the side of quantity. My indifference curves must have been steeper because I tended to buy exactly the candy I preferred at the time, even if it meant I wouldn’t walk away with pockets bulging. I remember an intense Mambo phase. Do you remember those? Fruit-flavored chews in a similar genre to Starbursts, but ever so much better. For a long time I also harbored a strong preference for Sour Patch kids. But, as I grew older (and our financial allocation closed in on a dollar), I – being female, and all – developed a powerful love of chocolate. I recall many sweet, melty Saturdays of peanut butter cups or Three Musketeers Bars. Then the Hershey company introduced something called the Cookies ‘n Creme Bar. I must admit, I don’t even know if they still produce this bar. I no longer eat things that contain “creme,” and my eyes simply don’t register what is on the candy shelves at the drugstore anymore. But, at the time I was convinced it was Manna. Cookies and cream was my favorite flavor of ice cream (I still think it’s delicious, actually, is that so wrong? ), so there was not even a shivering shadow of a doubt that cookies n’ creme was going to be my favorite candybar. I considered it preordained. As I recall, the bar was made of white chocolate sprinkled with peppercorn-sized crispy bursts of chocolate cookie. I savored every bite of every bar, but even then I think I recognized that saccharine is to this bar as sleepy is to Rip VanWinkel. The taste imprint in my memory is a tidal wave of sugar and metallic artificial vanilla with a hint of wax. A real treat, right? Since then, with the exception of an errant and quite decorative Easter bunny in a basket one spring, my diet has been rather on the emptier side of devoid of white chocolate. Until these bars. I own a book called Pure Chocolate, by Fran Bigelow. That is Fran of Fran’s Chocolate’s, she of the dark chocolate covered caramels with grey salt that are so obscenely good I’m surprised they aren’t contraband in the lower 48. It’s a book whose pages are full of shining deep, dark intricate chocolate desserts. Intricate and decadent enough that I rarely use the book to cook from (it’s an excellent resource for truffle making though). Of the many luscious chocolate creations, for some reason an image of a layer bar, the cover image, arrests me the most every time. Perhaps because the bar is towering and heroic looking in the photo, each architectural layer clearly visible in stunning contrast to the next. 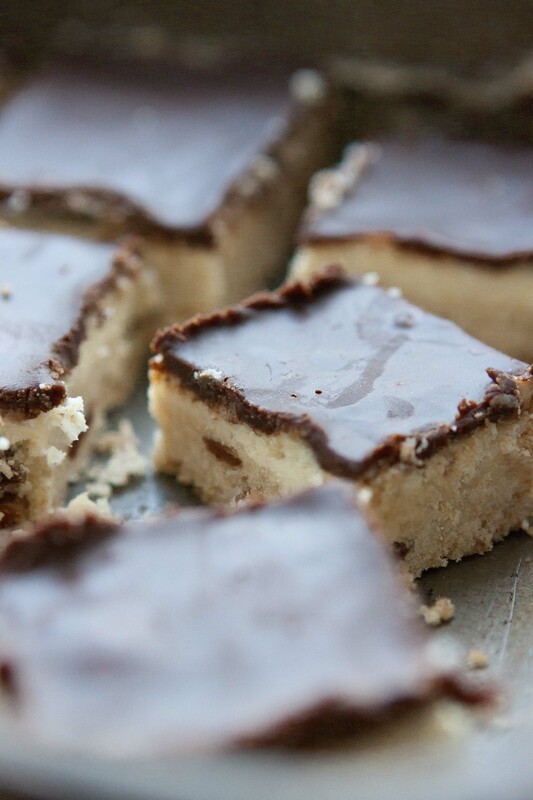 Her bars start with a milk and white chocolate shortbread, which is then topped with a whipped white chocolate and coconut ganache, and finally crowned with a thin layer of dark chocolate ganache. There’s quite a lot of white chocolate there! Enough that my piqued interest would normally be dulled again upon reading the recipe. Except, sneaky mind-reader that Fran, from the moment it’s stirred together she calls the white chocolate and coconut combination “coconut cream,” and to me that sounds exceedingly delicious. In a way, she tricked me into making bars with white chocolate. And, the bars now made and eaten, I don’t begrudge her the tiniest bit. The white chocolate in the center layer here gives it a soft creaminess without distracting too much from the coconut. 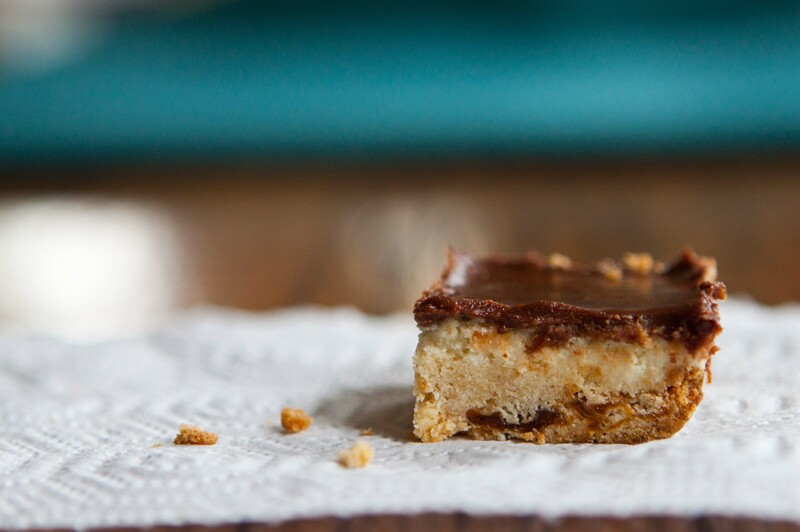 I actually built these bars around the coconut cream layer, swapping out the chocolate shortbread and plain ganache for layers of my own fancy. Following the lead of the coconut, I took a cue from the Nagaga bar, a confection made by Vosges Chocolat. The Nagaga bar blends deep milk chocolate with coconut and curry. And, while I admit I was a little frightened by the idea of curry in chocolate, Vosges also makes an awe-inspiring chocolate bar filled with Campari and blood orange caramel, and therefore I have implicit trust in any flavor decision they make. I was not led astray. The toasty curry has a similar effect in chocolate as does cinnamon. It gives it a warm, almost gritty edge of spice and heat as well as an amazingly alluring complexity. I have a feeling that even low quality chocolate would taste sophisticated with a light hint of curry blended in. The little bit of milk chocolate in the ganache topping lightens it just a tad, making it a gentler background for the curry. Finally, I decided to make a salted butter shortbread base, the salty, tender crumb standing in pleasing, spunky contrast to the other sweet, creamy layers. And then, because I was already fully facing in the direction of delightful excess, I blithely went down that path and sprinkled tangy nubbins of chopped dried apricot into the shortbread as well. When the shortbread came out of the oven, we tasted a corner of it, and I must say, it took the mental equivalent of a band of pitchfork wielding villagers to keep us from polishing off the shortbread in its simple, naked state. But, we allowed it to cool, and then with the coconut cream layer whipped and curry ganache cooled to the consistency of soft butter, I assembled the bars. Pure magic. The look of the end product reminded me a bit of millionaire’s shortbread, a triple layer bar with caramel and ganache, given its name because it is so rich. These too, are candybar rich, but with a complexity and elegance that takes it far outside of the candybar family, into the realm of fine confections, I’d say. So, I named them after the millionaire’s shortbread, but with a little nod to the coconut and curry. 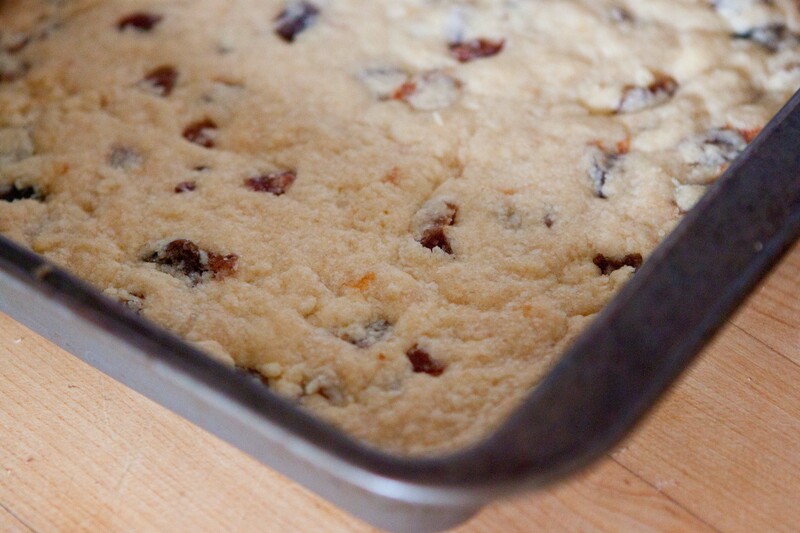 The pan yields 24 bars, perfect for sharing with friends and neighbors. Or for wrapping up and freezing individually to be enjoyed over many happy, happy Saturdays. 1 cup good salted butter, at room temp. First, make the coconut cream. Preheat your oven to 325F. Spread the coconut on a baking sheet and toast it in the oven until it is just light golden, 6-8 min. Remove from the oven and set aside. In a small saucepan, bring 1/2 cup heavy cream just to a boil. Remove it from the heat and add the white chocolate to it. Let it sit for a minute, then gently stir until the chocolate and cream are completely incorporated into each other and you have a smooth mixture. Stir in the coconut. Then, transfer to a bowl and cover with plastic wrap directly on teh surface (like you would with pudding). Set aside to cool for at least 3 hours or overnight. Next, make the shortbread. Keep your oven at 325F. Lightly butter a 9X13 in. baking pan. In a small bowl mix together the flour, baking powder, and salt. Set aside. 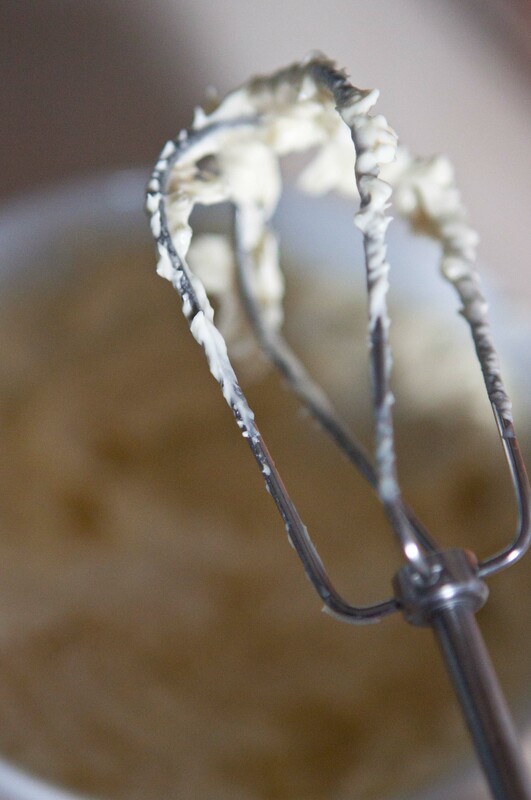 In a standing mixture fitted with the paddle attachment, cream together the butter and sugar on high speed until light and fluffy, about 2 minutes, stopping to scrape down the edges every now and then. Add the dry ingredients, and stir them in at low speed. Just before they are fully incorporated into the butter mixture, add in the apricots. Continue to mix just until everything is fully blended together. 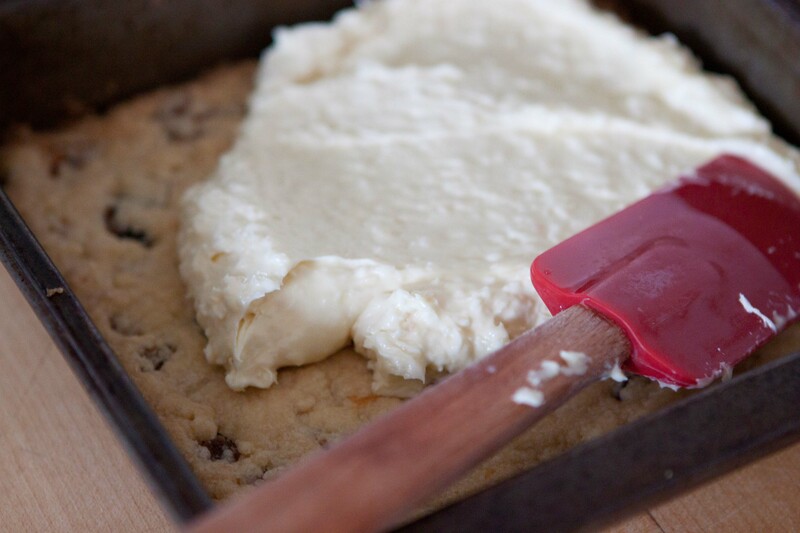 Use your fingers to press the shortbread dough into the greased baking pan in an even layer. Bake for 15-18 minutes, until golden brown. Remove and allow to cool completely in the pan on a wire rack. When the coconut cream has cooled at least 3 hours, and the shortbread is cool, you can assemble the bars. First, either in the stand mixer with the paddle attachment, or using a hand mixer, beat the coconut cream on medium speed until lightened in color and the consistency of frosting, about 1 minute. Spread this in an even layer over the shortbread base. In a small saucepan, combine the last 1/2 cup cream and the curry powder. Bring just to a boil, then remove from the heat and dump in the milk and dark chocolate. Allow this to sit for one minute, then gently stir it until the cream and chocolates are fully combined in a smooth mixture. Let this ganache cool until it is lukewarm (around 85 degrees), then pour it over the coconut cream layer, and gently spread it into an even covering. Let the bars set at room temperature for at least an hour before cutting (and, it actually makes them much easier to cut if you stick them in the refrigerator for a while). 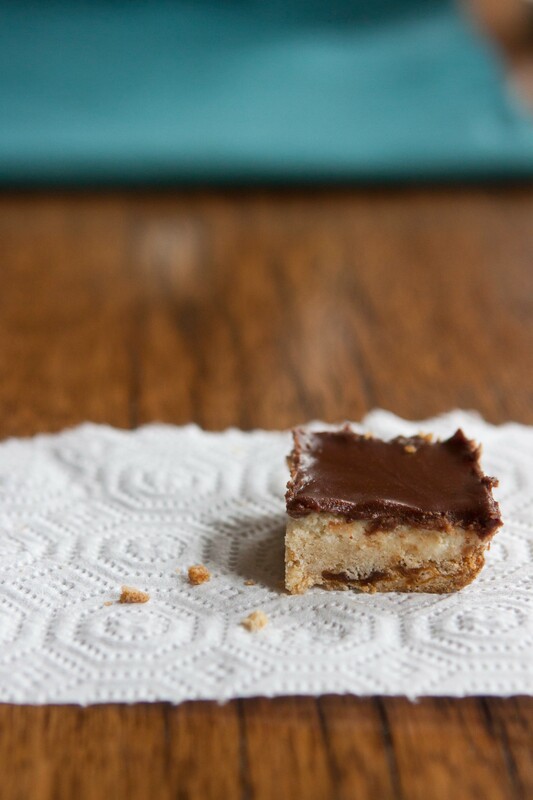 To cut them, first cut through the top chocolate layers with a sharp knife where you’re planning to cut the bars, then cut through the shortbread base. These bars should keep for about a week in the refrigerator in an airtight container. If they last that long. 🙂 Their flavor develops and gets even better over the next couple of days. Looks so yummy! I don’t bake much now, but this almost makes me want to. Looks fantastic! I’m curious to try what the curry does to this! Thanks! The curry with chocolate is really interesting. I was surprised how much I liked it. You can also add a little less or a little more, depending on how strong you want the flavor to be. These bars sound really intriguing thanks the curry. I really like chocolate with a bit of chilli powder on it, so these should be perfect for us to try. Mmm, yes. Chocolate and chili powder is very tasty. Curry has a slightly similar effect. Oh cute!!! Well, I hope you give them a try! If your kid is at all picky/sensitive about things being spiced, you could try it without the curry powder. If not, leave it in! I think it’s delicious there. 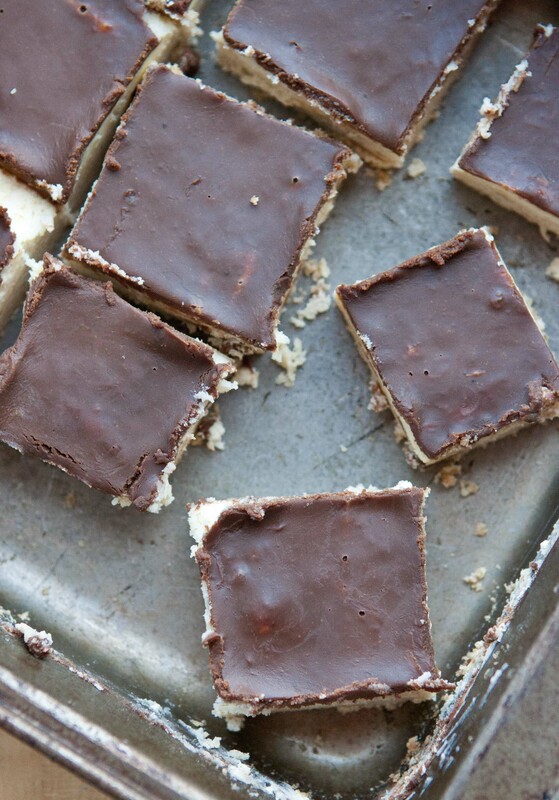 You are currently reading Slumdog Millionaire’s Shortbread at Five And Spice.